My resolution this year is to eat much healthier and to add more whole foods into my diet. One food that I really love and that is yummy and super healthy are these smashed beans! They're delicious with the tastes of Parmesan, black pepper, and garlic, but they have lots of fiber from the beans. They're great as a side dish instead of pasta! Heat the olive oil in a saucepan over medium heat. Add the beans and cook for 1-2 minutes. Mash beans with a fork. Add water, a few drops at a time, until the beans have a mush consistency, but not too watery. Add the garlic powder, Parmesan cheese, salt, and pepper and mix well. 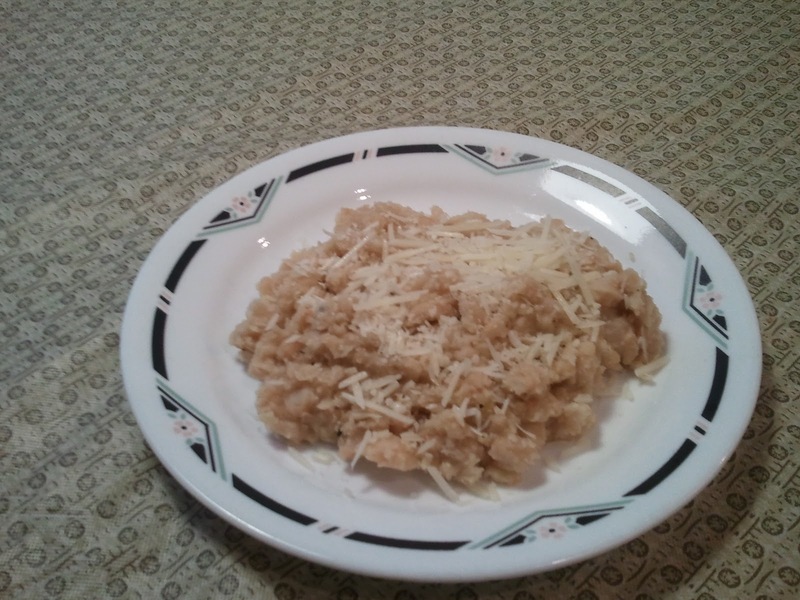 Place on a plate and top with more Parmesan cheese to taste. Those do look good! I'm always looking for gluten-free alternatives for me on the nights we have pasta dishes for dinner. Your Garlic Smashed Beans look delicious! We like white beans a lot of different ways (my link today is for Navy Bean Soup), but I haven't tried white beans quite like yours. Will try them soon!